When your trees are ready for a trim, we have the knowledge and equipment to get the job done right. Just like humans, trees require the right kind of care to flourish. Not every tree needs to be chopped down if it’s taken away your view or looking a little shabby. A good trim can often solve a lot of problems if it’s done properly. As easy as pruning might look, it involves a lot of expertise and skill if you want to achieve the best results. Pruning at the wrong time of the year or cutting off too much can kill even the healthiest of trees. Furthermore, not every tree requires the same kind of pruning. And if you have a mixed orchard you will have to have various trees trimmed throughout the year. It’s an awful lot of physical work and guess-work if you’re not a trained arborist. Here at Northland Treeworks, we have the knowledge, the experience and the right equipment to get your trees back in shape in no time and ensure they will continue their healthy growth as much as and in the direction you would like them to grow. Our highly trained experts can assess what needs to be done and access your trees from any height completely risk-free. 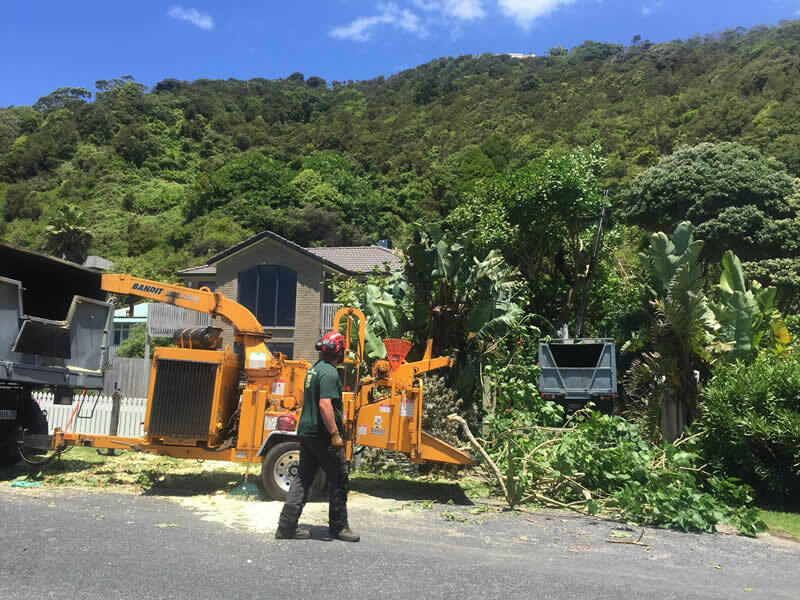 Calling our team will save you the headache of worrying over safety, when and how much to prune and even what to do with the debris once the job is done. You might be surprised how big a tree actually is once it’s scattered across the ground. Depending on your preference, we can either dispose of all the cuttings and debris, or we can turn it into mulch or decent sized chunks for firewood. In order to give you an adequate quote and discuss details of your tree trimming job, we will probably need to visit your site and make an assessment. We service Whangarei, Kerikeri, Bay of Islands and the Far North. Click here to request a quote. Contact one of our qualified aborists to arrange free, no-obligation quote or call 0800 TREE CHOP today.